When the fog settles in after sunset, the city can get a little chilly for some. We’re thankful that a little fog didn’t stop these five bar owners! 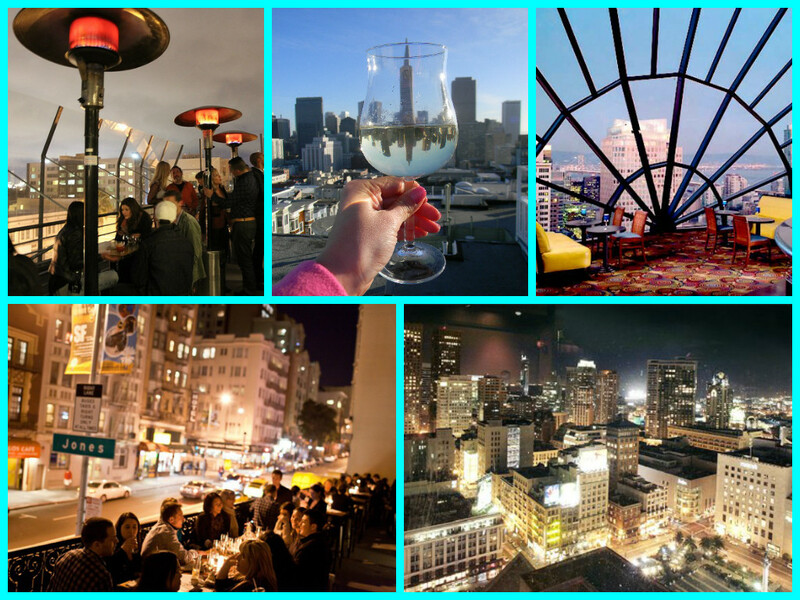 If you’ve been looking for the perfect places to spend those warm San Franciscan nights, ABCey has you covered! 1. Jones | 620 Jones Street | You might have overlooked this TenderNob gem, but on Friday nights, you can’t ignore the huge line down the hill! Inside, the bar is futuristically chrome, which opens up to a wooden, earthy rooftop space. Their focus is clearly cocktails, and it would be an injustice to pass up “Tears of a Gypsy” or a “Kensington Zinger,” both made with their house-made syrups! 2. El Techo de Lolinda | 2518 Mission Street | Incredible food, creative drinks, and a rooftop view? We dare you to stop us on our way up to this fifth floor cantina, which translates to “Lolinda’s Roof.” Jazzed-up Latin American street food like chicharrones and ceviche pair wonderfully with the tropical rum, pisco, and tequila laden cocktail lineup. Get ready to be wowed by El Techo’s tapas plating style and the stunning views of San Francisco. 3. Bluestem Brasserie | 1 Yerba Buena Lane | Enjoy Napa Valley’s finest and freshest ingredients in Bluestem’s familiar yet refined brasserie cuisine. And if you’ve come for a drink, there are plenty to choose from! In addition to an impressive selection of scotch and cocktails (who doesn’t want to try a Honey Badger? ), they have wine and beer on tap in addition to our Napa Valley favorites. 4. The View | 55 4th Street | Decor and carpeting aside, if you’re looking for incredible San Francisco views through Gotham City-style windows, head down to the Marriott Marquis in the Financial district. They offer the normal array of cocktails and bar food, but on a clear night, the view is remarkable! 5. The Starlight Room | 450 Powell Street | Classic and sometimes kitchy, you gotta love the Starlight Room for its charm as a San Francisco icon. Their cocktail menu is designed to take you through time from the 1600’s to Present Day, and everything from the food to the drinks is done with class and elegance. Where else but San Francisco can you have a Bellini at a Sunday’s a Drag brunch? What do you think of our picks? Do you have any to add? Tell us in a comment or on Facebook and Twitter!